I love those clouds. Cory Arcangel has improved his comments and instructions for those of you want to make their own mario clouds. The Nintendo-net is abuzz with "news" that Miyamoto thought Wind Waker's climactic hunt was boring. I never finished Wind Waker, but it doesn't mean that I enjoyed it any less than anyone else. The games immersive graphics and sound are still unmatched almost two years later, and that makes for a great game in my book. I've been enjoying the GBA version of "Star Wars III." I feel no compulsion to collect all 100 (or however many) green orbs, I just like using Obi-Wan's force tricks to destory droids. According to a new study appearing in the January 20 Nature, Pokemon was identified as a new cancer gene that may act as a master switch. "Pokemon is a main switch in the molecular network that leads toward cancer," said senior author Dr. Pier Paolo Pandolfi of Memorial Sloan-Kettering Cancer Center (MSKCC). "If we could turn Pokemon off, it may block this circuitry and stall the malignant process." 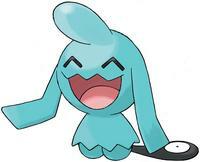 It's hard to believe that cute and friendly pokemon could play such a lethal role in cancer. Dance Dance Revolution players burn extra pounds along with their quarters. Weight loss is an unexpected benefit of a game designed for dance music. CNN: Gamers dance off extra pounds. Anil is building a community of Excel Geeks. I carry this "abilities and nature" spreadsheet with me in my wallet or in the Blue Polliwhirl Bag that protects my Pearl Blue SP from the NYC streets. As you nurture your pokémon to higher levels, it's innate nature helps you anticipate it's strengths and weaknesses. Pacman, Ms Pacman... Dr Pacman? Researchers found that doctors who spent at least three hours a week playing video games made about 37% less mistakes in laparoscopic surgery and performed the task 27% faster than their counterparts who did not play video games. It's not the easiest to navigate, but this guy has all the inner workings of pokemon laid out. The most important thing he has on the site is the IV calculator so you can determine how strong your pokemon actually is. It's like looking into your pokemon's DNA. Dreaming of Tetris -- scientific research into "how and when people see pieces from the computer game in their sleep tells of the role dreaming plays in learning." Fascinating stuff. I've had pokemon dreams, usually after playing for several hours or right before sleep. I perceived them as a sort of after-image left on my brain, but the learning idea makes sense especially when compared to dreams I've had after studying physics or chemistry for hours that involve solving complex problems. Anyone else had these kind of dreams?